Making Contractors More Payable and "Loanable"
Available today, Payable has released a new invoicing feature for independent contractors and self-employed workers. This feature functions within Payable’s work-tracking and payments platform. Now, each payment will have the option of generating a printable PDF invoice. The tool enables contractors to get paid faster and have more official recourse for loan, mortgage, and housing applications. Our goal is to make contracting less of a financial risk by accelerating payments and making it easier for contractors to earn more and expand their business. According to a report by Zillow, self-employed borrowers receive 40 percent fewer loan quotes from lenders than other applicants. For the past two years, self-employed borrowers reported 28 percent growth in income while traditional workers’ income decreased by 17 percent. Despite this growth, self-employed and 1099 workers still face difficulty qualifying for necessary loans and even rental applications. For nearly 17 million freelancers, receiving a loan or mortgage remains one of the most difficult challenges of working independently. Payable’s tools seek to solve this problem. Self-employed borrowers receive 40 percent fewer loan quotes from lenders than other applicants. The idea for printable, auto-updating PDF invoices came from our users who needed additional paperwork as proof-of-income and recent work history when applying for loans and apartment rentals. "The entire process is geared around traditional employment," says Tad Milbourn, CEO of Payable. "Banks, lenders, and landlords request paystubs that don't even apply to contractors. We want contractors to be able to walk in and say, 'Here's proof of what I've earned.' It's absolutely critical to empower them in these financial situations." All invoices are stored together, auto-updated with payment status, on the cloud-based platform for both contractors and companies to access. Clients can pay by clicking on the payment link included in the PDF version of the invoice. Payable also takes care of the bank account verification of both contractors and their clients in order to send secure payments quickly via ACH transfer. Payable is also available on both iOS and Android systems. The platform currently transfers millions in payments for thousands of contractors monthly. 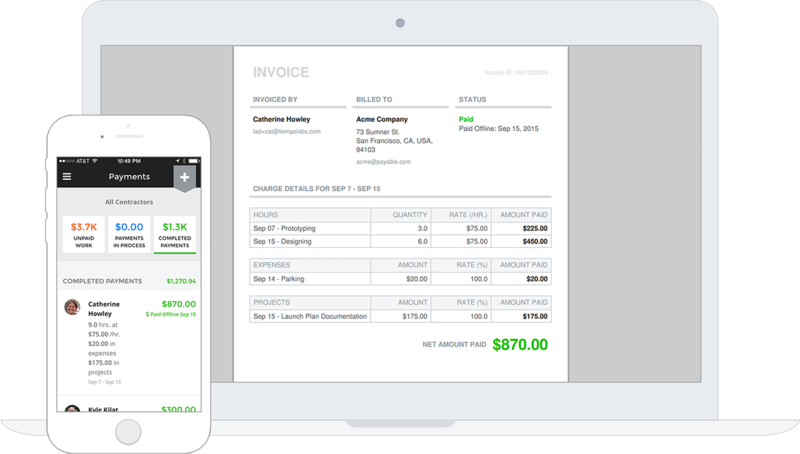 Work-tracking and invoicing tools are free for up to five users. Payments and 1099 generation are $8 per contractor paid per month. 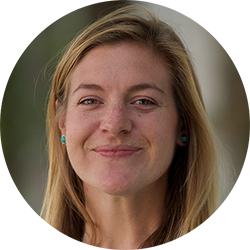 Laura is the Director of Marketing at Payable.